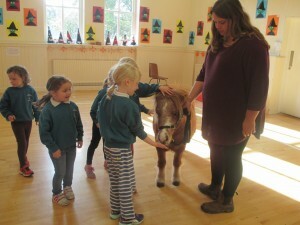 The boys and girls in the Burrow were delighted to get a visit from King and his owner Georgia who is a past pupil of the Burrow herself. 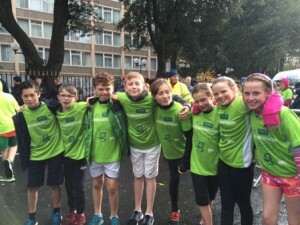 Congratulations to the children in 6th class who completed the first ever Kidsmarathon programme in Ireland on Monday 30th of October. 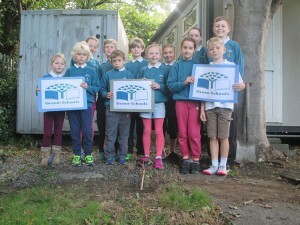 On Thursday, the Green Schools committee met for the first time. Have you seen our Junior Entrepreneur Programme flag flying proudly above our school?